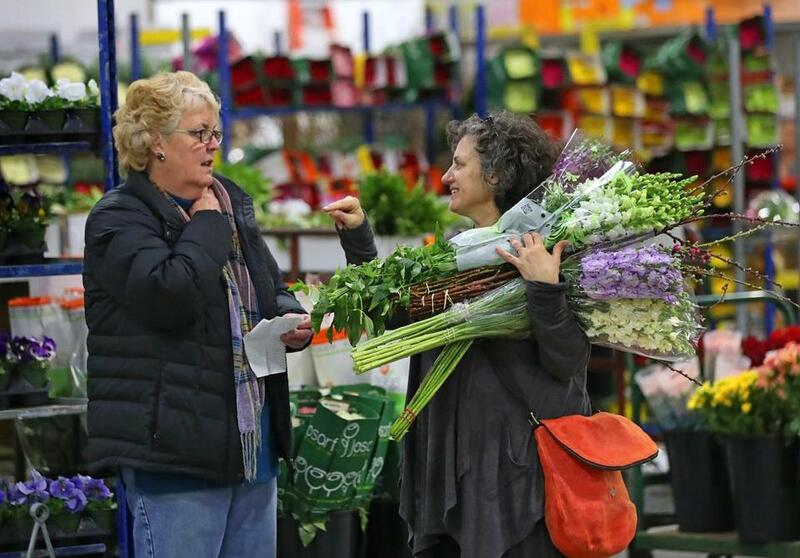 Meg Taylor and Barbara Popolow chatted Wednesday at the New England Flower Exchange. 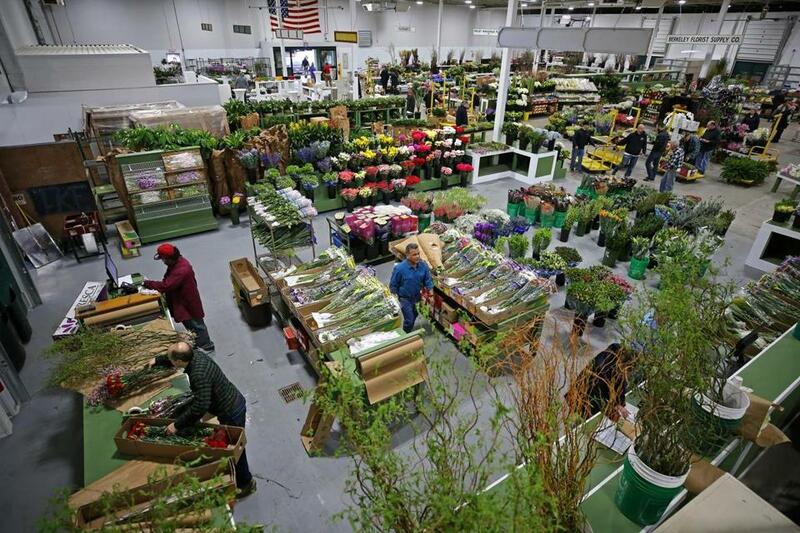 Spring is in the air in Chelsea as the former Boston Flower Exchange officially opened in its new location on 2nd Street, ending a 45-year run at its old warehouse in the South End. 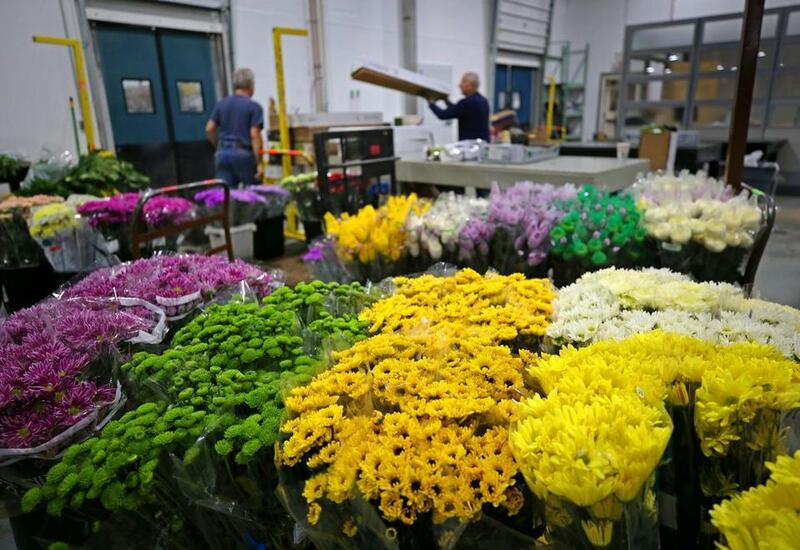 The wholesale flower cooperative has renamed itself the New England Flower Exchange, with 10 vendors moving to the 65,000-square-foot facility. 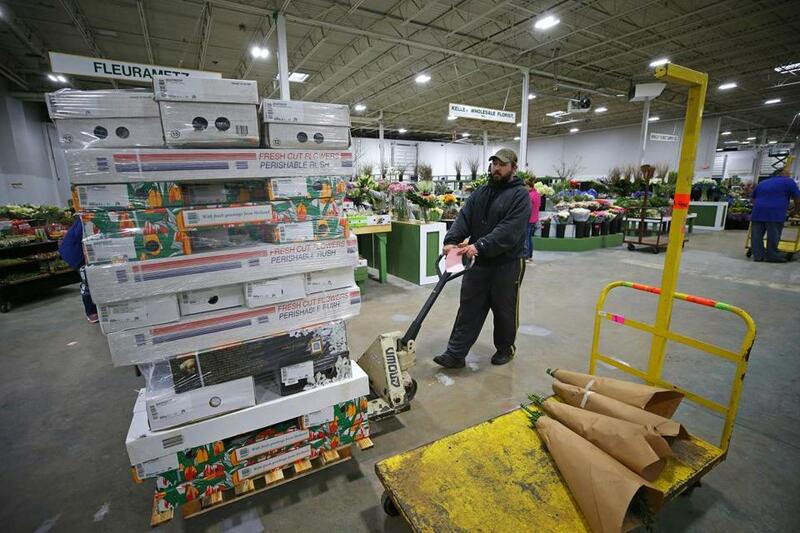 Natural light pouring from skylights and new LED lighting makes the warehouse look “clean and cheery,” said Meg Taylor, who stocked up on delphiniums, tulips and orchids for Anderson’s Florist in Arlington. The South End site was purchased by the Abbey Group, which has extensive plans to redevelop it. The renamed New England Flower Exchange has moved to Chelsea. Wednesday was the first day of business. Michele Bernard shopped for her flower shop on Newbury Street. 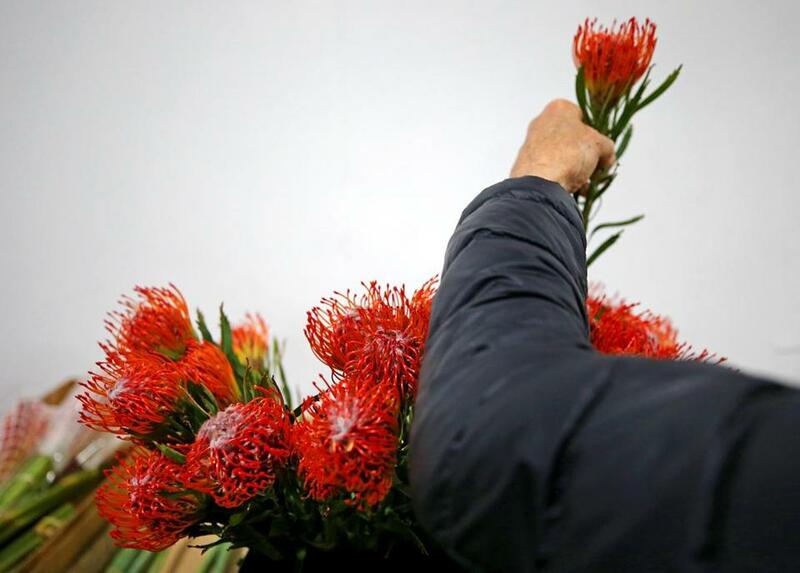 A worker brought flowers into the complex. 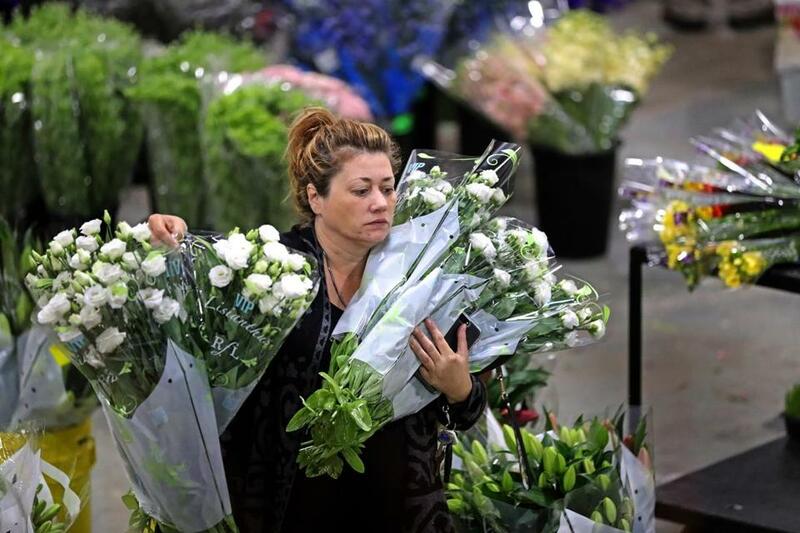 A buyer looked over flowers.